Build your brand with our innovative and trending software solution. We work for our client satisfaction and success. 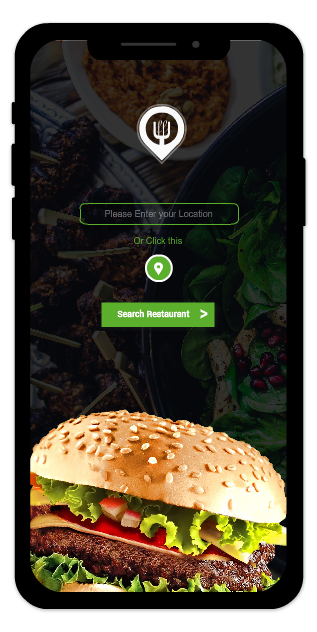 Our FrescoFud is an online, on-demand food ordering and delivery application app which is specifically made to deliver sophisticated, convenient and quick food ordering and delivery services so that customers may enjoy exotic dishes without roaming for suitable restaurants. 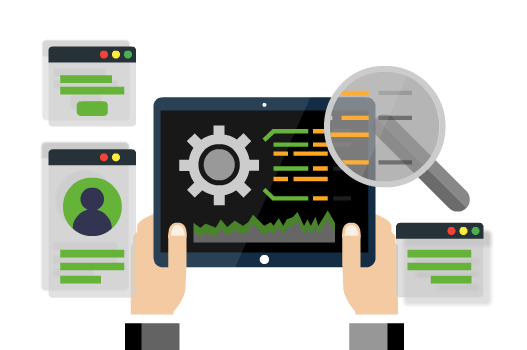 This app is developed for both Android and iOS platform users. Search for a restaurant where a user can make an order. Menu search. It helps users to search for the dish they like. Time referencing, the possibility to order food delivery at the specified time. History of orders. The customer can easily repeat the previous order. In-app calls. The ability to call an operator directly from the application is also in high demand. Delivery person can register directly from the mobile application but are approved and live only after the admin approves of their profile. Delivery person gets some time to approve / disapprove any new booking requests and is shown the PICKUP point with distance from current location and also the travel distance between pickup and delivery point. Delivery guy can update the customer status. The courier can track the booking history and monitor the status of each including cancelled bookings. 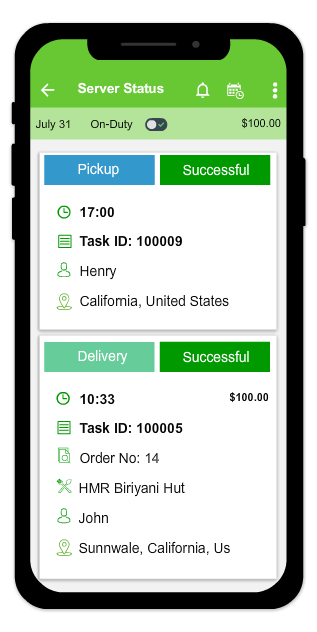 Web and mobile Apps to view new incoming orders and details of assigned Delivery person. Order only placed after Merchant has confirmed delivery. Notifications to the assigned Delivery person and customer when order is accepted and ready for delivery. Edit/Add items on Delivery person’s menu and update regularly accordingly. 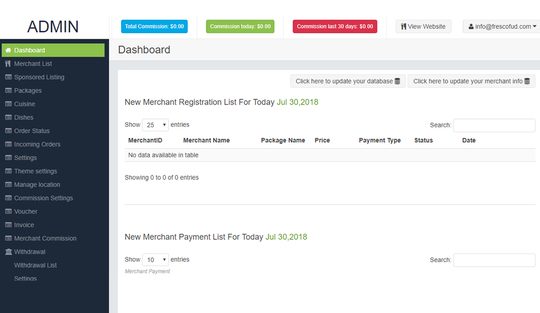 Direct payment when customer gets order and Invoice generation directly from portal, sent as a message and e-mailed to customer. Customers can rate business according to their satisfaction. Restaurants can opt for a featured listing in the app. Dashboard analytics and general settings. Module settings - enable / disable. 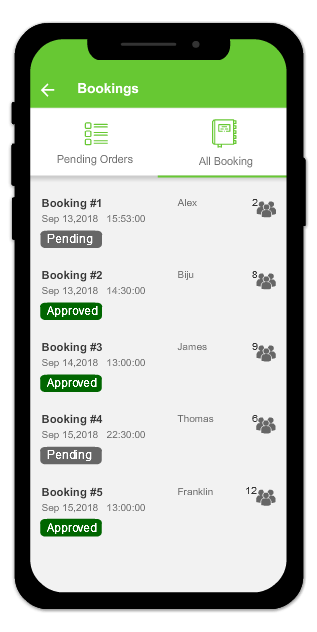 Manage orders, customers and restaurant.